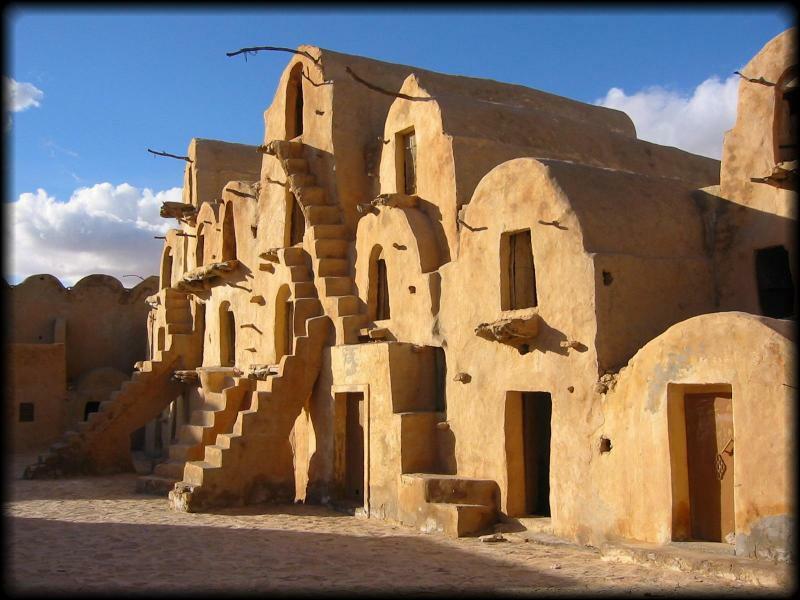 We started by visiting Ksar Ouled Sultane. This was definitely a highlight of the trip. The granaries are four stories high, and are really other-worldly. We were there at the end of the day, and had the place to ourselves. Our cab driver (“Ali Baba!”) left us alone – even the lone guy running the obligatory cafe let us be. We got some great photos in the fading evening sun – be sure to check here to see them.